Nearly 20 years ago my big brother got a PS1 and a copy of Metal Gear Solid. Of course, this meant I could not play the game, but instead I was able to watch my brother unravel the brilliant story that Kojima and Fukushima wove. Every single piece of the game was entirely intentional. Every hallway, every guard, every camera, the entirety of the game was a careful and precise layout bridging cutscene to cutscene. To this day Metal Gear Solid remains one of the single greatest accomplishments in game development and storytelling. As a military brat certain thematic elements lit a fire in me that ignited a passion and curiosity for history, politics, and a deep love and respect for veterens of the cold war, the men that sacrificed their lives and their very existence for our country and our freedom. All this as a 10 year old, all thanks to 2 men who pushed a boundary in the way we understand games, in the way we play games. After a Long wait we finally have the finality of the franchise as we know it. You may be saying to yourself “Ben, this game came out in september! It is now December, what took so long! ?” Well, as a fan of the franchise and as important as the story is to me, I had to be sure. I had to fully experience the entire game, and understand every piece totally before I knew I could give you an assessment that made sense, was fair, and was 100% accurate. With that in mind here is my review. MGSV takes place 10 years before the events of the original Metal Gear on the MSX platform, and 9 years after the events of Ground Zeroes, In case you missed it, at the end of MGSV:GZ Big Boss’ helicopter was hit by a rocket and a suicide bombing leaving the fate of our hero up in the air. We learn at the beginning of MGSV:TPP that Big Boss survived the attack but fell into a coma for close to a decade, meaning that everything he knew about the world had quickly changed. The USSR had gained strength and momentum, invading Afghanistan and toppling the world’s superpower hierarchy. 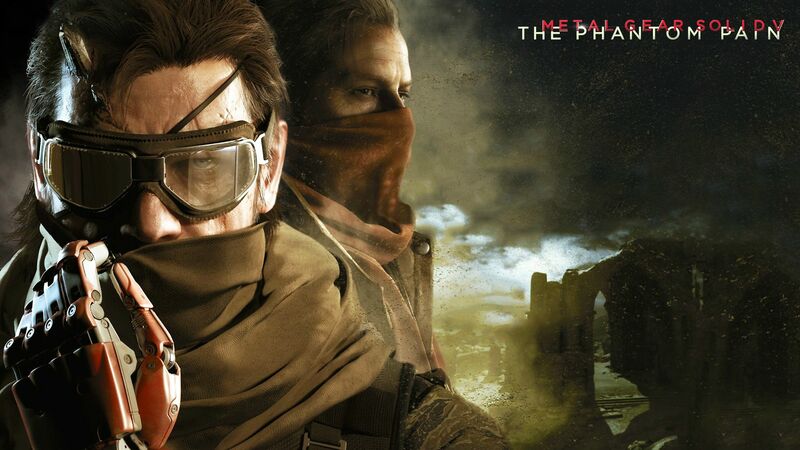 Waking up to an assassination attempt, Big Boss must reunite with old comrades and establish a new mercenary state larger and more powerful than his previous MSF. The game starts immediately here, allowing you to take control of where and how Big Boss builds this empire. Graphically, visually, and artistically MGSV:TPP is not just impressive, but probably the most memorable military game since MGS3. Which is saying a lot. The open world of Afghanistan, Motherbase V2, and Africa is rendered in insane detail and technical prowess. Errors like framerate dips, screen tearing, and pop-in are nowhere in site. The art direction courtesy of Yoji Shinkawa and the consult of mech genius of Kow Yokoyama created some of the coolest tech and most accurate to life military vehicles to ever hit gamer’s hands. Everything about the game is stunning on every level. Even in the online portion of MGS, this trajectory carries over gracefully. One of the more contentious points of MGSV is that beloved actor David Hayter did not get to reprise his role as Big Boss/Snake, leaving many fans rightfully pissed. That said Hayter’s over the top Snake Plisken nod was utterly demolished by Keifer Sutherland’s incredible vocal performance. Though he spoke very little throughout the game, even leaving awkward silences as certain Jeep based megalomaniacal rants when Big Boss did speak, there was a presence and emotion that Hayter could never really capture with the iconic Snake voice. Likewise, almost all of the cast gave weighty and brilliant performances. The rest of the sound design is equally masterful, using sound as a way to not only present atmosphere, but to effect gameplay. Yes, paying attention to what guards say, how well you can actually hear them, and even the sound of gunfire in the distance can make a difference. Gameplay wise, MGSV is simultaneously and confusingly the best in the series and the worst. Above I mentioned how the placement of every hallway and security camera in the game was purposeful and precise. Well, the open world of MGSV means 2 things; first, that the game adds a ton of longevity and experimentation value. The ability to take different loadouts, replay missions, wander aimlessly, or just screw around means that it is likely you will pour over 30 hours into the game at least, without even scratching the surface of the main game. This is also the biggest issue with the game. MGS was always a narrative focused game, famously including over 8 hours of cutscenes and exposition in MGS4. The idea that the core missions of the game include very few cutscenes and very little exposition aside from optional cassette tapes which fill in otherwise missing plot points, something about the game feels completely off. Totally missing. Sure, the actual functionality, controls, and real gameplay are inarguably perfect. I mean it. PERFECT. But the way that gameplay and narrative are woven is hamfisted at best. Something just doesn’t fit together. There are maybe 2 bossfights in the game, which were previously hallmarks of the series that left lasting impressions on players and fans, this time we have a kind of forced and poorly design true boss fight, and an optional one that gives you access to a companion character. Even the much built up villain of the game; Skullface gets nada in the way of a showdown, and frankly embarrassing last moments. This leads me to the problems with the game from a fan perspective. Throughout the game subtle hints about who the player actually is pop up everywhere, the average “gamer” who is just playing because it was the hot new title may not catch on. But it is immediately obvious that you are playing a new character. Venom Snake. Yes, Big Boss did go into a coma, as did the character you are playing. Yes, you both woke up within a short time of eachother. No you are not the same Big Boss from the previous and later games in the series. This is a cool way of explaining some plotholes in the original MG games and also a horrible way of creating entirely new ones, ESPECIALLY when MGSV is so sub par narratively. It took me nearly 3 months to accept this, and maybe I’m wrong, maybe as of writing this the much rumored and frankly necessary DLC chapter comes out, restoring the infamous by now “cut content” that Konami wouldn’t pay for. Either way, as of December, Kojima is no longer with Konami and Kojima Productions is dead, apparently. Konami denies this roundly, stating that Kojima is on vacation. Kojima refuses to clear up what is really happening. The problems with MGSV still remain though. The plot problems with MGSV create a HUGE inconsistency with past and future games in the timeline. Yes Solid and Liquid snake make appearances as children in TPP, but Eli steals a Metal Gear that requires a young Psycho Mantis to power, with this in mind how the hell does Rex happen in MGS1, and why does the new Big Boss allow it to happen. See, at the true end of TPP, we learn that Big Boss turned his flight medic into his doppelganger with plastic surgery so that he could infiltrate the highest levels of the US government to create the Zanzibarland from Metal Gera 2: Solid Snake. This means that the guy you are playing in MGSV is in fact the Big Boss that Solid Snake kills in the original Metal Gear, and fixes the “how did Big Boss survive getting burned alive and nuked, to become the bad guy of MG2” problem. Ok, great, cool. The new problem arises when you realize that you find out all of this in a cutscene that, in the punch and shattering of a mirror, skips 10 years; from Venom Snake hearing the truth, to the literal seconds before Solid Snake enters the room to kill him. This cutscene would have been far better if the bulk of the game had you doing horrific things in the name of revenge, crafting the story of how Big Boss went from a war hero to a war criminal and evil jerk with literally all the nukes in the world. As things played out in the game, you learn that all the trailers presenting the story as a revenge tale, where we would go nuclear and be faced with true horrors like murdering child soldiers were totally false. And as of the writing of this article, this remains the case. Maybe that was the point, maybe Kojima wanted, as he always does, to show us that information control and manipulation twists the narrative of good guys and bad guys in war. That would be brilliant if we knew what actually happened during the 10 year mirror punch gap. 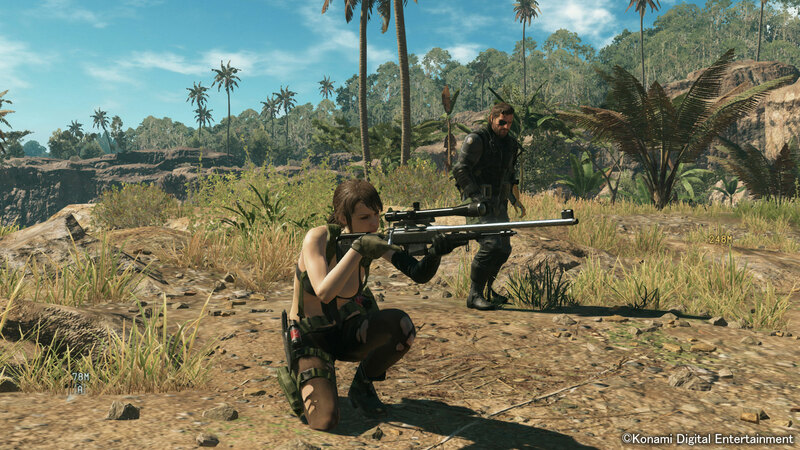 It would be awesome if we got to find a young Sniper Wolf, train Gray Fox, raise Naomi and do all the other cool stuff we know about Big Boss in this specific timer period. Unfortunately we fans are just left with a very painful hole that we cannot fill. That feeling that something that should be is not. There is a Phantom Pain, and maybe that is intentional, to make fans wonder what the hell happened during that 10 years, but this is a game and a medium that has certain methods for delivering content. I am not in an art museum and MGSV is not an installation. Fans deserved answers, not new questions; and the silence about the fate of the franchise and the status of Kojima and Konami has been frustrating to say the least. This is why I waited to write my review, Kojima is a ruse-master. Everything he did with previous games was so intentional and so well planned that the idea of a secret 3rd chapter with specific unlock conditions was more than a reasonable and believable conspiracy. I had to be sure that more content wasn’t on the way. It looks like there may be hope at some point, and if there is, I will update this article, but I am no longer holding my breath. As it stands MGSV is an amazing game with a missing limb. Either way its still very, very good, and still worthy of Game of the Year, even with Fallout 4 doing gangbusters. I highly recommend it for MGO alone.